The Maize Corn Flour Processing Plant includes the cleaning Conditioning system,peeling system,grain grinding system, sifting system, weight and packing system, you will get different final products from our Maize Corn Flour Processing Plant : corn flour, corn meal, without germ and bran . Our Maize Corn Flour Processing Plant have scientific design and configuration, elegant appearance, high efficiency, low power consumption, low production costs, with low noise and zero pollution. Looking for ideal Corn Flour Processing Plant Manufacturer & supplier ? We have a wide selection at great prices to help you get creative. All the Maize Flour Processing Plant are quality guaranteed. 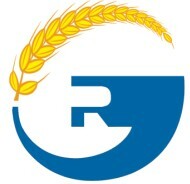 We are China Origin Factory of Flour Processing Plant. If you have any question, please feel free to contact us.